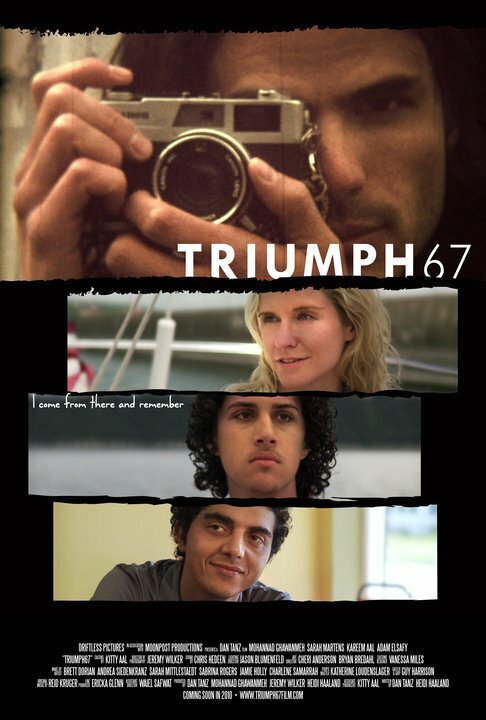 TRIUMPH67, a film produced by Arts and Science Instructor Mohannad Ghawanmeh, will have its world debut at the Minneapolis-Saint Paul International Film Festival (MSPIFF) this weekend. Ghawanmeh is also the lead actor in the film, which explores concepts of family, home, memories and deception through the lives of two Palestinian-American brothers. The film takes place in Minnesota and was shot locally. “Our film follows a young Palestinian-American man in Minneapolis grappling with the sudden death of his older brother and forced to confront his own actions…actions that may have inadvertently changed everyone’s life,” said Dan Tanz, co-writer and director of TRIUMPH67. TRIUMPH67 will premiere at MSPIFF, the state’s oldest film festival, at 7 p.m., Friday, April 15, at the St. Anthony Main Theatre in Minneapolis. It was recently reviewed in Vita.MN magazine by local film critic Colin Covert, who described it as “poignant and moody.” Read the review at Vita.MN. For more about the film, check out the TRIUMPH67 web site or for details about the three-week MSPIFF, which features 150 films from more than 50 countries, go to: http://www.mspfilmfest.org/2011/.